On Jan. 18, Guangdong-Hong Kong-Macao Greater Bay Area held a conference and announced its esports project in Foshan. This project was officially launched in Sanshan New City at the end of 2018 and the investment for this project was $294m (£225m). According to the project plan, approximately 50 enterprises from esports and creative industries will join this project, including Chinese esports giants, professional esports clubs and international esports tournaments organisers. Furthermore, the local Kung Fu culture will be integrated into esports to create a unique festival, which includes esports invitationals, esports forums and esports musical festivals. 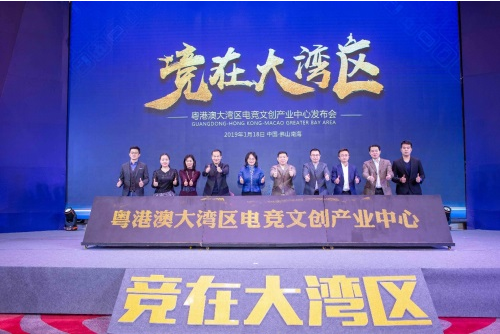 Li Yan, the Minister of Propaganda in Nanhai District, said: “the government of Nanhai District has confirmed this project as the first esports project in Nanhai District and will be de dedicated to creating a complex for the esports industry and a populated area for esports talents.” In August of 2018, Nanhai District held the LOL International Collegiate Championship successfully and this event proved the possibility of connecting local traditional culture with emerging industries. Moreover, this event also helps the government of Nanhai District to reinforce determination and confidence of developing the esports industry in the Guangdong-Hong Kong-Macao Greater Bay Area. Guangdong-Hong Kong-Macao Greater Bay Area is the world’s fourth-largest bay area, which consists of Guangzhou, Shenzhen, Zhuhai, Foshan, Dongguan, Zhongshan, Jiangmen, and whole of Huizhou and Zhaoqing. Adjacent Hong Kong and Macau are also parts of this bay area. This bay area can be considered as an upgrade of the Pearl River Delta region and it has become the most economically active region in China. Esports Insider says: As the Chinese esports team won the championship in the 2018 Asian Games and esports has been listed as the medal events in the 2022 Asian Games in Hangzhou, maybe it is the best time for China to accelerate the development of the esports industry. In addition, numerous non-endemic companies have noticed the potential of the esports industry and they have started to cooperate with esports companies for expanding their markets.